Mazie Bunn has Chiari malformation, Ehlers-Danlos Syndrome and epilepsy. Mazie loves country music and wanted to experience Nashville. Kids Wish Network, a children’s charity that grants wishes for kids with life-threatening illnesses, was instrumental in making her melodious dream come true, flying Mazie’s family to Nashville for her star-studded Music City experience. 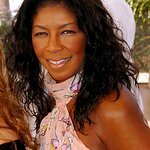 Mazie felt like a celebrity… Emerald Luxury Transportation chauffeured them in a Mercedes-Benz limousine to the Grand Ole Opry for her harmonious night of country superstars. They also had seats with amazing views of the stage for performances by Rascal Flatts, Ashley McBryde, Tracy Lawrence, The Whites, Levi Hummon who performed his new song “Patient” before its official release, Dustin Lynch, Rita Wilson who was debuting at the Opry, and the Del McCoury Band. A representative of the Grand Ole Opry escorted Mazie and her family backstage for an exclusive VIP tour. She saw the stars’ dressing rooms, and there were more surprises for Mazie… she spent time with country sensation Tim McGraw and his family who were visiting that night. Their tour continued, also meeting Levi Hummon. 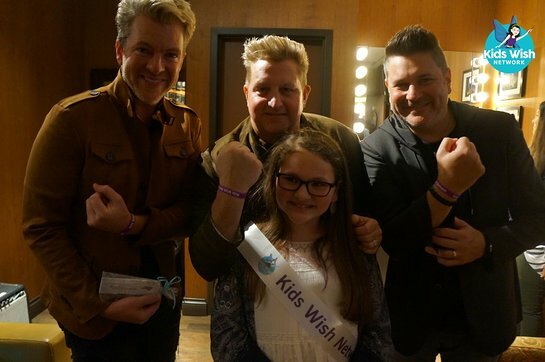 Then Mazie’s big moment arrived… she and her family had an exclusive invitation to hang out with Rascal Flatts in their dressing room. This amazing experience gave her a chance to get to know some of her favorite country idols. During Mazie’s wish, her family stayed at the beautiful Noelle, Nashville, a Tribute Hotel. They had memorable dining experiences at the Rainforest Café and Hard Rock Café. Their Nashville experience was also enhanced with a VIP tour at Madame Tussauds wax museum, visiting the Country Music Hall of Fame and creating a new best friend at Build-A-Bear Workshop. Kids Wish Network is a national charitable organization dedicated to infusing hope, creating happy memories, and improving the quality of life for children with life-threatening conditions and struggling with life-altering situations. KWN provides trip expenses, meals, accommodations and additional spending monies to all wish families whenever traveling as applicable. Visit www.kidswishnetwork.org to learn about their different programs, and find out how you can help make dreams come true and sponsor a wish for a deserving child.